We come across lots of logos during the course of our Web design work and many miss the point. All modern sites use responsive design (read: 'Responsive Changes Everything'), so if your logo isn't easily viewable and readable on a small mobile device or if you have to remove something to make it viewable, it's too complex. Why this over complication, as most graphic designers know that simplicity is good? It's led by customers as it's easier to show lots of elements than to take things out. It ends up with logos being unnecessarily cluttered. Nike and Apple are two branding giants who have brilliantly simple logos that work across all media types and screen sizes. Now check out Heineken, do a search for their logo and you'll find one very detailed one and a wide range of simpler ones they use. 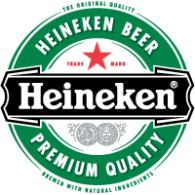 Really the small print, detailing and repeating of 'HEINEKEN' is unnecessary on the older logo - could you do without it? Of course. And yes I know that Heineken are a highly successful world-wide marketing company, and their logo was designed around a bottle label but it's still way too complex - ditch it guys! Read: 'Nobody Cares About Your Logo'. The origin of the word brand came from the germanic languages where it meant something hot or burning and by the Middle Ages marking livestock with a fire-heated mark was to 'brand' them. This custom was transported to the Americas and other places where it was used to distinguish the ownership of cattle. The brand didn't say 'Billy Ratchet's cow', it was a mark that allowed Billy and others to quickly see whether a cow was his or not. A logo is a representation of your brand, a graphic that allows your brand to be recognised across a range of media. It's not a tagline, it's not a description and it definitely doesn't need to tell your story.